Akıllı telefonlar dünyanın her yerindeki insanların gündelik yaşamlarını öylesine işgal etti ki, kişilerarası ilişkileri bile biçimlendirecek hale geldiler. Bu durum tüm yaş gruplarındaki bireyler için geçerli hale gelse de üniversite çağındaki gençler akıllı telefonları daha fazla kullanmakta ve bu sebeple bu yaş grubunun ilişkileri akıllı telefonlardan daha fazla etkilenmektedir. Bu çalışma, 15 derinlemesine görüşme aracılığıyla akıllı telefonların Türkiye’deki gençlerin duygusal ilişkilerini nasıl biçimlendirdiğini ortaya koymaktadır. Bulgulara göre internete dayalı mesajlaşma uygulamaları, görüntülü arama özelliği ve sosyal medya platformlarını barındırması sebebiyle akıllı telefonlar günümüz gençliğinin ilişkilerinin elzem bir parçasıdır. Görüşme sonuçlarına göre; akıllı telefonlar gençlerin duygusal ilişkilerinin başlaması ve ilerlemesine yardımcı olmanın yanında, aynı zamanda güven sorunları oluşturarak, bağlanma kaygısı aracılığıyla ilişkilerin bitmesine sebep olacak derecede kırılganlaştırmaktadır. Bu da gelecekte gençlerin yapacağı evliliklerin ve kuracakları ailelerin sağlamlığı ile ilgili önemle dikkate alınması gereken bir durumdur ve bu çalışma, konu ile ilgili Türkiye’de yapılan ilk nitel çalışmadır. Smartphones have invaded the daily lives of all the people around the world in such a way that they have the power of shaping interpersonal relationships. Although this is valid for people from all ages, college-aged youth use smartphones more than other age groups, therefore their relationships are affected more from these devices. Through fifteen in-depth interviews, this study demonstrates how use of smartphones shape romantic relationships of the college-aged youth in Turkey. Findings reveal that smartphones are an essential part of the relationships of today’s youth because of internet-based text-messaging applications, video call applications and social media platforms. Beside helping romantic relationships to start and proceed, interview results suggest that smartphones raise trust issues and create fragile relationships through attachment anxiety. These findings are essentially important for the sake of future marriages and families that today’s youth will establish, and this is the first qualitative study on the subject in Turkey. Amplitude Research (2013). “Mobile’s Impact on Dating & Relationships”, http://www.stateofdatingreport.com/docs/FINAL_Mobiles_Impact_on_Dating_and_Relationships_Study.pdf, (22.02.2017). Baron, N. S. (2008). Always on: Language in an online and mobile world. New York, NY: Oxford University Press. Baym, N., Campbell, S. W., Horst, H., Kalyanaraman, S., Oliver, M. B., Rothenbuhler, E., Weber, R., & Miller, K. (2012). Communication theory and research in the age of new media: A conversation from the CM Café. Communication Monographs, 79: 256–267. doi: 10.1080/03637751.2012.673753. Canary, D.J., & Stafford, L. (1994). Maintaining Relationships Through Strategic and Routine Interaction. D.J. Canary & L. Stafford (Der.) Communication and Relational Maintenance. İçinde: 3-22. San Diego, CA: Academic Press, Inc.
Chiu, S. I. (2014). The relationship between life stress and smartphone addiction on Taiwanese university student: A mediation model of learning self-efficacy and social self-efficacy. Computers in Human Behavior, 34: 49-57. Choi, H. S., Lee, H. K., & Ha, J. C. (2012). The influence of smartphone addiction on mental health, campus life and personal relations-Focusing on K university students. Journal of the Korean Data and Information Science Society, 23(5), 1005-1015. Cisco (2012). “The 2012 Cisco Connected World Technology Report”, http://www.cisco.com/c/dam/assets/sol/ent/business_trend/borderless/ccwtr/2012-Infographic-Smartphones.html, (22.02.2017). Clayton, R.B., Nagurney, A., & Smith, J.R. (2013). Cheating, breakup, and divorce: Is Facebook use to blame? 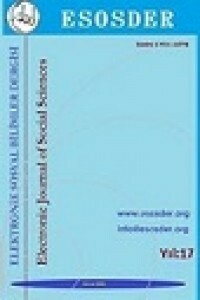 Cyberpsychology, Behavior and Social Networking, 16: 717-720. http://dx.doi.org/10.1089/cyber.2012.0424. Dağtaş, E., & Yıldırım, O. (2015). İnternet ve Sosyal Ağlar Dolayımlı Gündelik Yaşam Pratikleri: Anadolu Üniversitesi Öğrencileri Üzerine Mikro Alan Araştırması. folklor/edebiyat, 21(83): 149-180. Darvell, M. J., Walsh, S. P., & White, K. M. (2011). Facebook tells me so: Applying the theory of planned behavior to understand partner-monitoring behavior on Facebook. Cyberpsychology, Behavior and Social Networking, 14: 717–722. http:// dx.doi.org/10.1089/cyber.2011.0035. Demirci, K., Orhan, H., Demirdas, A., Akpınar, A., & Sert, H. (2014). Validity and reliability of the Turkish Version of the Smartphone Addiction Scale in a younger population. Bulletin of Clinical Psychopharmacology, 24(3): 226-234. Elphinston, R. A., & Noller, P. (2011). Time to face it! Facebook intrusion and the implications for romantic jealousy and relationship satisfaction. Cyberpsychology, Behavior and Social Networking, 14: 631–635. http:// dx.doi.org/10.1089/cyber.2010.0318. Hammond, J.R., & Fletcher, G.J.O. Attachment Styles and Relationship Satisfaction in the Development of Close Relationships. New Zealand Journal of Psychology, 20: 56-62. Hampton, K. N., Goulet, L. S., Rainie, L., & Purcell, K. (2011). “Social networking sites and our lives: How people’s trust, personal relationships, and civic and political involvement are connected to their use of social networking sites and other technologies”. Pew Research Center’s Internet & American Life Project, http:// pewinternet.org/Reports/2011/Technology-and-social-networks.aspx, (22.02.2017). Hazan, C., Shaver, P. (1987). Romantic Love Conceptualized as an Attachment Process. Journal of Personality and Social Psychology, 52(3): 511-524. Horstmanshof, L., & Power, M. R. (2005). Mobile phones, SMS, and relationships: Issues of access, control and privacy. Australian Journal of Communication, 32(1): 33-52. Jin, B., & Pena, J. F. (2010). Mobile communication in romantic relationships: Mobile phone use, relational uncertainty, love, commitment, and attachment styles. Communication Reports, 23(1): 39-51. Kim, D., Lee, Y., Lee, J., Nam, J. K., & Chung, Y. (2014). Development of Korean smartphone addiction proneness scale for youth. PloS one, 9(5): e97920. Krasnova, H., Abramova, O., Notter, I., & Baumann, A. (2016). Why Phubbing is Toxic For Your Relationship: Understanding The Role of Smartphone Jealousy Among “Generation Y” Users. Twenty-Fourth European Conference on Information Systems (ECIS), Istanbul, Turkey. Kwon, M., Kim, D. J., Cho, H., & Yang, S. (2013). The smartphone addiction scale: development and validation of a short version for adolescents. PloS one,8(12): e83558. Laursen, D. (2005). Please reply! : The replying norm in adolescent SMS communication. R. Harper, L. Palen, & A. Taylor (Der. ), The inside text: Social, cultural and design perspectives on SMS. İçinde: 53–73. Norwell, MA: Springer. Lenhart, A. (2012). Teens, Smartphones & Texting. Pew Research Center, http://pewinternet.org/Reports/2012/Teens-and-smartphones.aspx, (22.02.2017). Luo, S. (2014). Effects of Texting on Satisfaction in Romantic Relationships: The Role of Attachment. Computers in Human Behavior, 33: 145-152. McLuhan, M. (2014). Gutenberg Galaksisi: Tipografik İnsanın Oluşumu. İstanbul: Yapı Kredi Yayınları. Miller-Ott, A. E., Kelly, L., & Duran, R. L. (2012). The effect of cell phone usage rules on satisfaction in romantic relationships. Communication Quarterly, 60(1): 17-34. Morey, J.N., Gentzler, A.L., Creasy, B., Oberhauser, A.M., & Westerman, D. (2013). Young Adults’ Use of Communication Technology Within Their Romantic Relationships and Associations With Attachment Style. Computers in Human Behavior, 29 (4): 1771-1778. Neustaedter, C., Greenberg, S. (2012). Intimacy in Long-Distance Relationships Over Video Chat. CHI 2012, May 5–10, 2012, Austin, Texas, USA. Perez, S. (2015). “Consumers spend 85% of time on smartphones in apps, but only 5 apps see heavy use”, http://techcrunch.com/2015/06/22/consumers-spend-85-of-time-on-smartphones-in-apps-but-only-5-apps-see-heavy-use/#.hdibm0j:5bJy, (22.02.2017). Picard, P. (2007). “Tech Abuse in Teen Relationship Study”. Prepared for Liz Claiborne Inc., by Teenage Research Unlimited, http://www.loveisrespect.org/wp-content/uploads/2009/03/liz-claiborne-2007-tech-relationship-abuse.pdf, (22.02.2017). Roberts, J. A. and M. E. & David (2016). My life has become a major distraction from my cell phone: Partner phubbing and relationship satisfaction among romantic partners. Computers in Human Behavior, 54: 134-141. Sandberg, J., Busby, D., Johnson, S. M., & Yoshida, K. (2012). The brief accessibility, responsiveness, and engagement (BARE) scale: A tool for measuring attachment behavior in couple relationships. Family Process, 51: 512–26. Smith, A. (2015). “Chapter Three: A “Week In The Life” Analysis of Smartphone Users”, http://www.pewinternet.org/2015/04/01/chapter-three-a-week-in-the-life-analysis-of-smartphone-users/, (22.02.2017). Vincent, J. (2006). Emotional attachment and mobile phones. Knowledge, Technology & Policy, 19 (1): 39-44. Bal, E. (2013). Teknoloji çağında cep telefonu kullanım alışkanlıkları ve motivasyonlar: Selçuk Üniversitesi öğrencileri üzerine bir inceleme (Doctoral dissertation, Selçuk Üniversitesi Sosyal Bilimler Enstitüsü). Woollaston, V. (2013, October 8). “How often do you check your phone? The average person does it 110 times a DAY (and up to every 6 seconds in the evening)”, http://www.dailymail.co.uk/sciencetech/article-2449632/How-check-phone-The-average-person-does-110-times-DAY-6-seconds-evening.html, (22.02.2017).